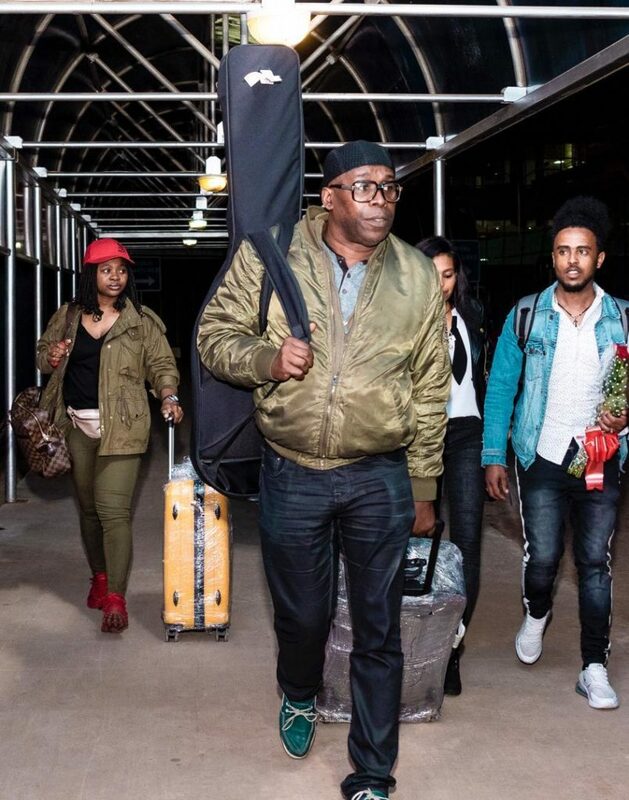 KAMPALA – Congolese legendary musical icon Awilo Longomba has jetted into the country for his highly anticipated #AwiloLiveinKampala musical concert. The concert which is scheduled for Friday 5 will take place at the luxurious Serena Hotel in Kampala. 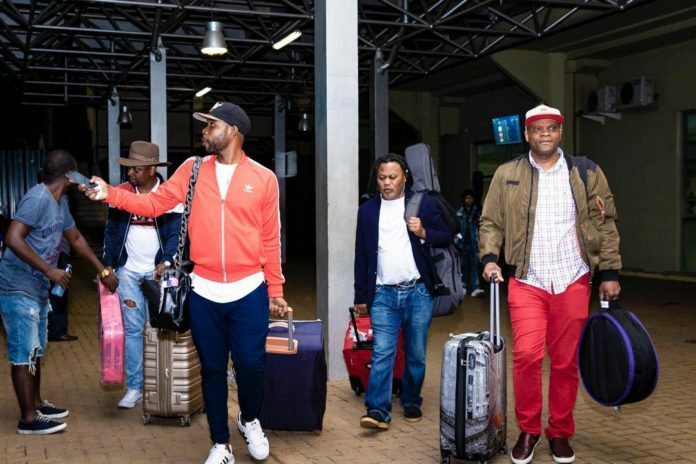 Awilo jetted into the country on Tuesday night at around 10 pm local time, with his 11 man band group comprising of drummers, dancers. At the Airport he was received by the Cent’s Events management, the group behind Awilo’s concert. Since the start of the year, this will be one of the major musical events in the land after Burna Boy’s show that never reaped to expectations. Awilo Longomba is a Congolese musician who was a drummer in Viva la Musica, Stukas, Nouvelle Generation and Loketo. In 1995, he quit drumming for singing and released his first album Moto Pamba with help from Shimita, Ballou Canta, Dindo Yogo, Dally Kimoko, Sam Mangwana, Syran Mbenza and Rigo Star.